(the photos are marked 2017, however, the tags were made some time before then). now grace the covers of a pair of mini memo books (below). now covers a handmade junk journal (below). 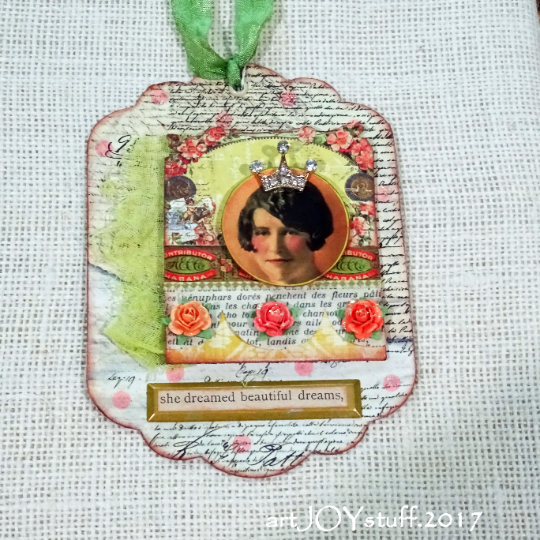 leaving plenty of room for photos, writing, and embellishment. is now a greeting card for a dear friend (below). I can't participate right now, but I would certainly look at the art of those who can. I love all your work, Kimberly! Nice ideas for using the tags! Would love seeing what others do, along with more of your work, of course! 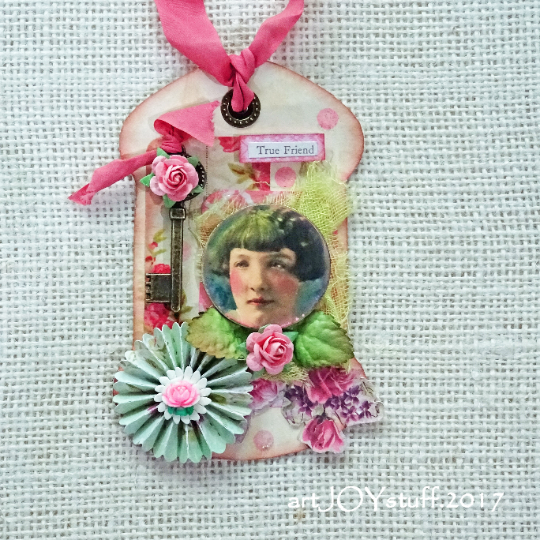 your reuse of the tags, created wonderful pieces- I love the new backgrounds you made them- !! Dear friend, you know me-- I have more than enough with the commitment for That`s Crafty, so I am not saying yes to other weekly commitments, even it would have been great fun. Hope your summer is lovely Kim. Kim, I think this is excellent idea and once I get through summer and all of my obligations, I would love to play along! 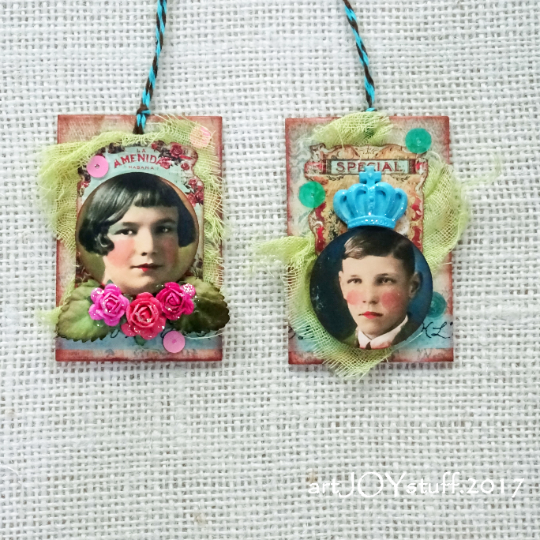 These journals and card have turned out fabulous! I just love the way you re-create!! You are so talented!